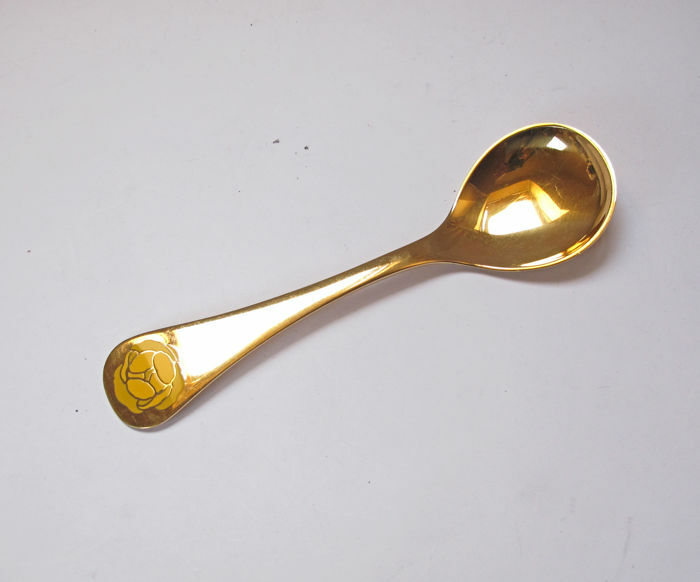 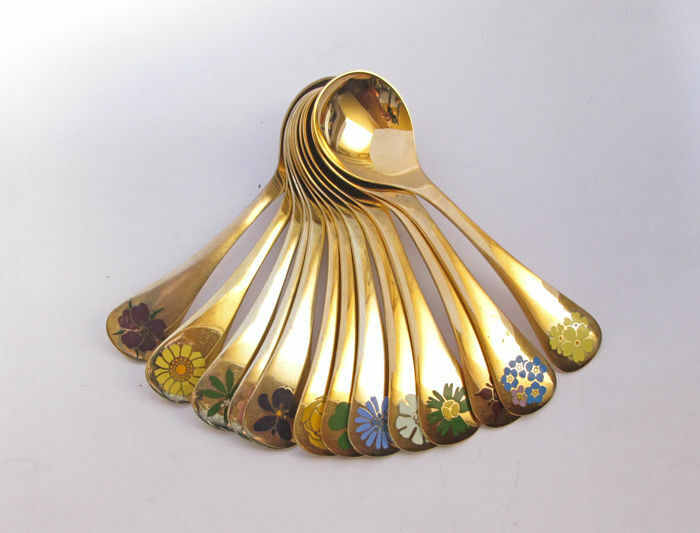 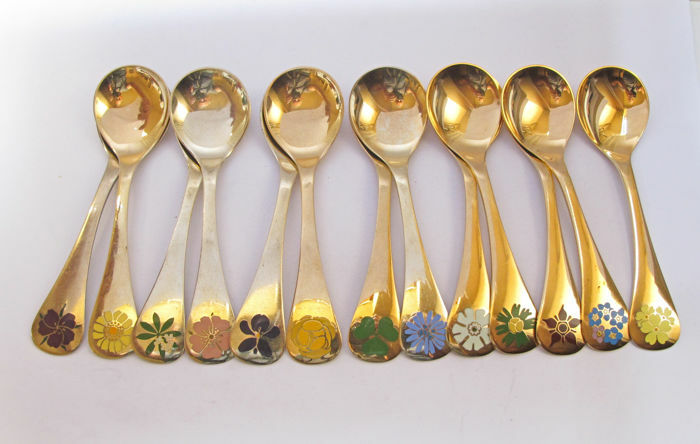 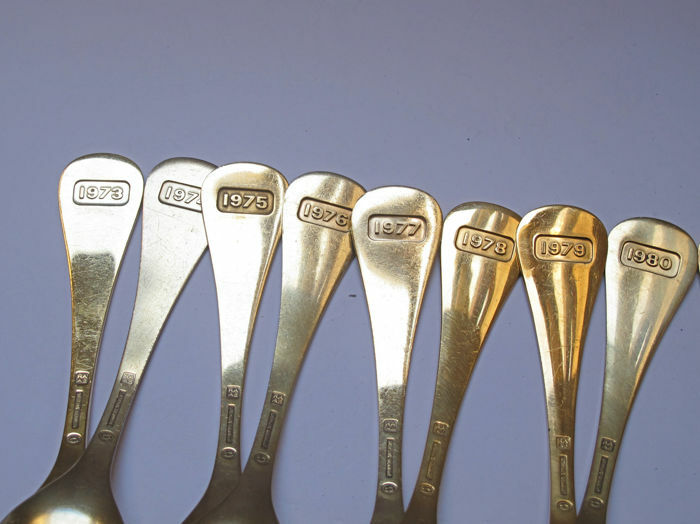 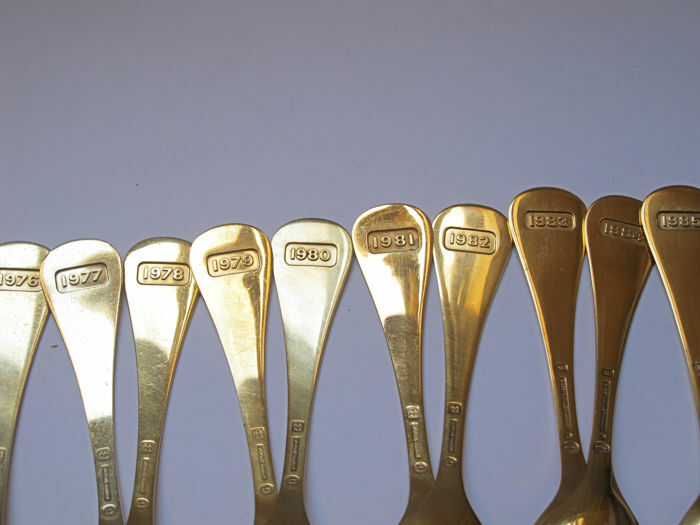 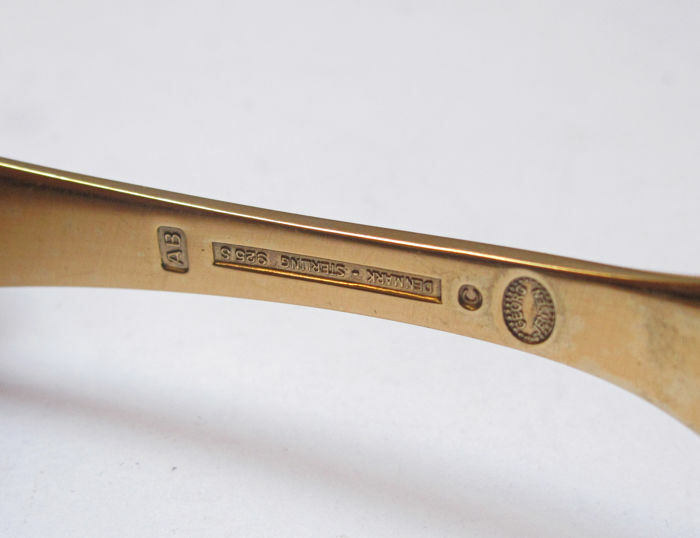 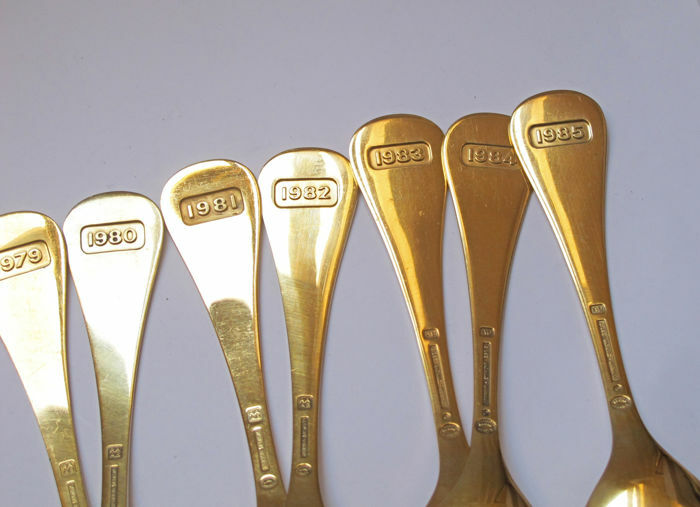 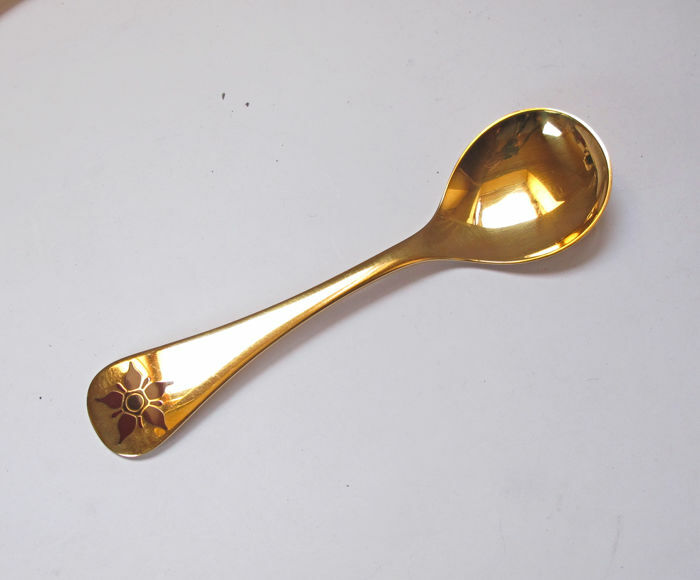 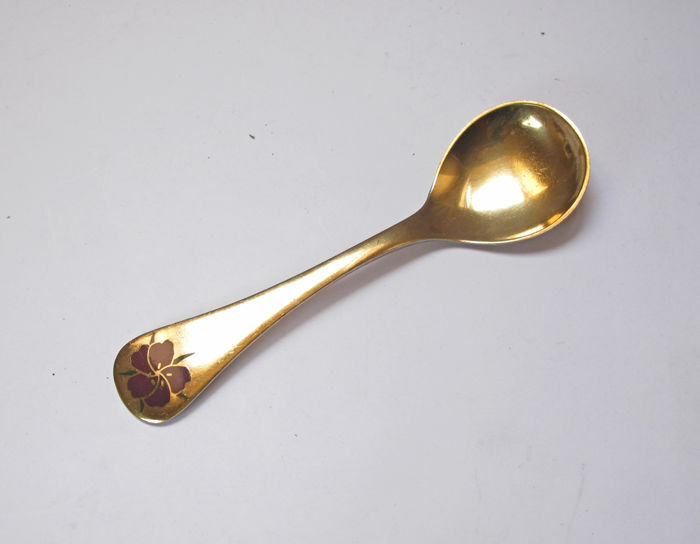 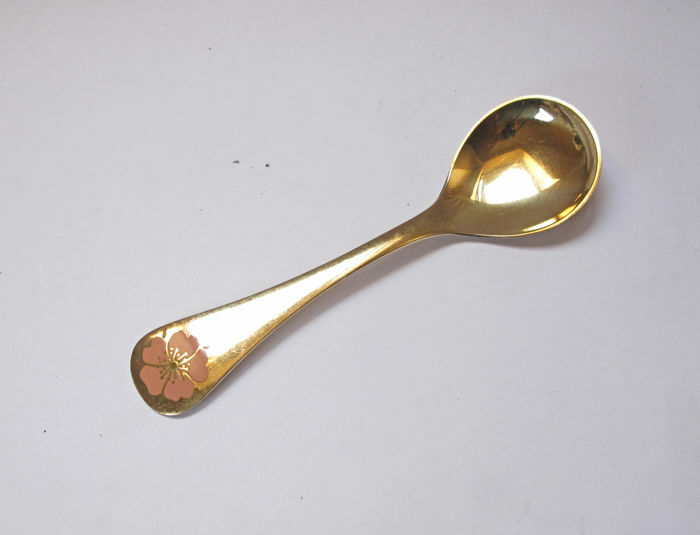 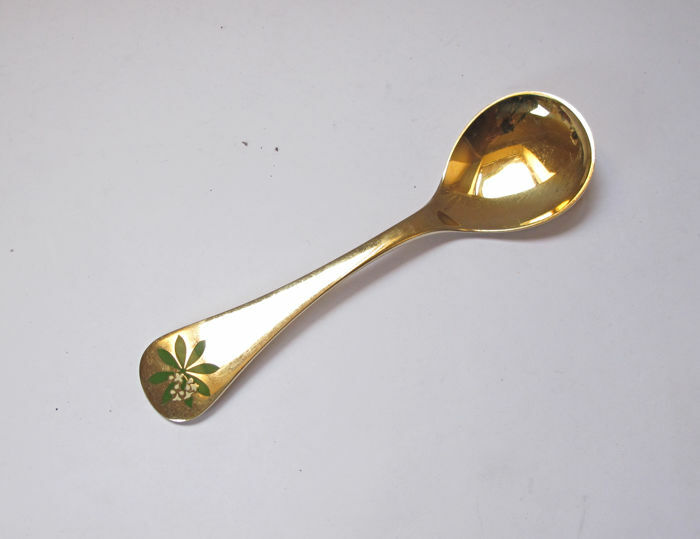 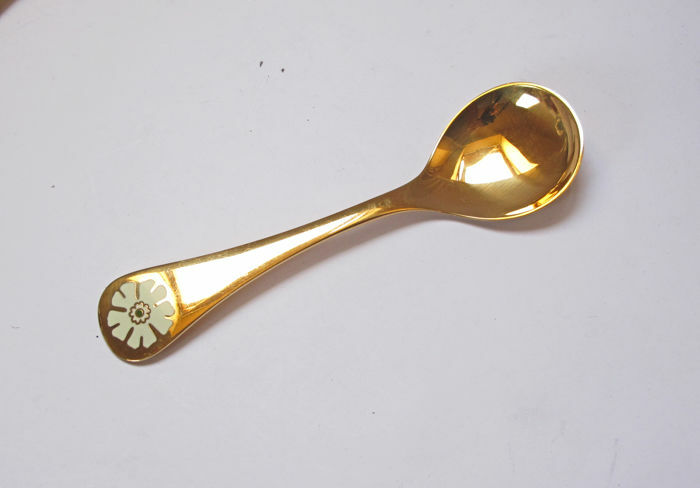 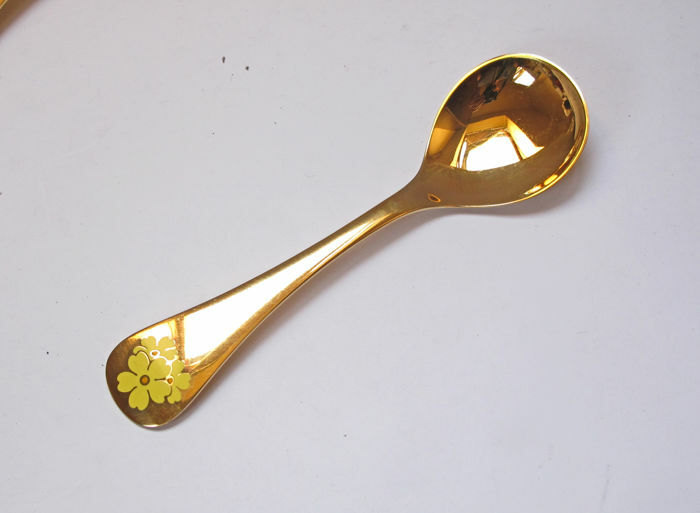 Georg Jensen Gilded Silver Annual Spoon set 1973-1985, 13 pieces. 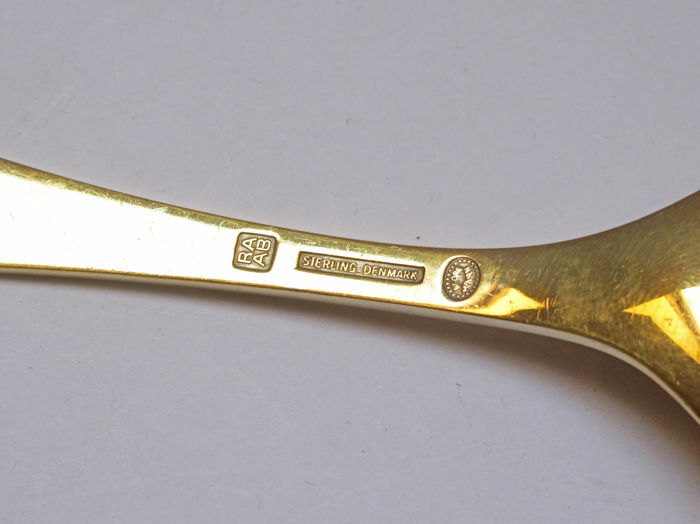 925/1000, 15 cm, 584 gr, Nice condition. 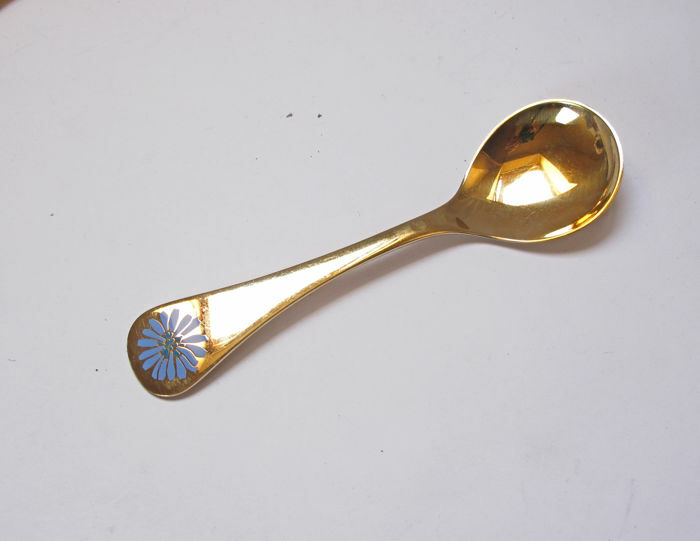 925 gold plated sterling silver,enamel decoration. 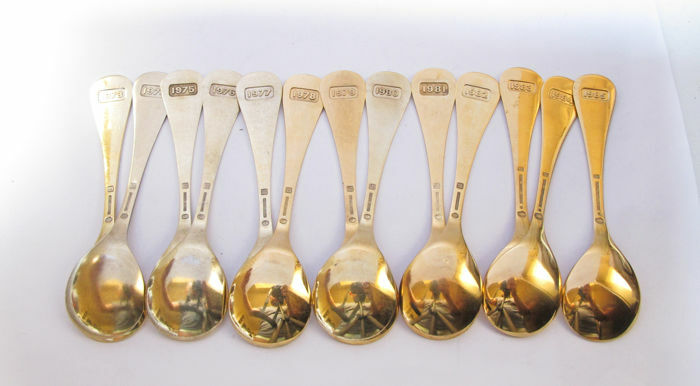 You can pick up this lot from the seller: Budapest (Kőbánya), Hungary.